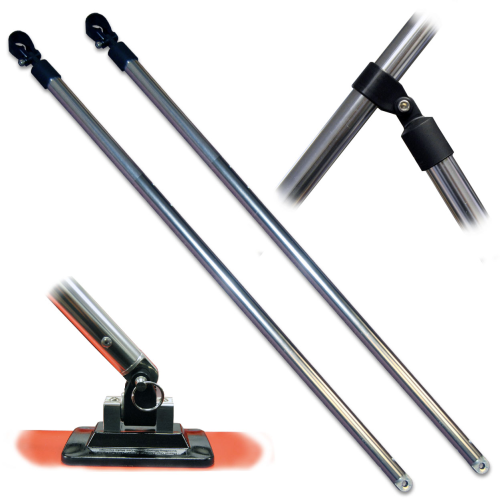 Diameter 1″ Aluminm Pole x 2 , Length 34 inches. Create a Better Support for Bimini Top, Stand The Bimini 50 Degree When Folded. Both End Fittings Included; Spare Part & Tool Included. Please choice the Diffeent Mounting Kit fot Different Boats.